2013 (63) BMW 116i Sport with only. - MOT UNTILL 20 FEBRUARY 2020. 2x rear lights. For sale I have my black 2002 BMW 318 TI SE Compact, 3 series coupe which is a AC Schnitzer replica. It has the full AC Schnitzer body kit (front splitter, side skirts, rear spoiler and alloy wheels). 12 month mot. 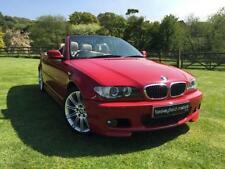 BMW 320i m sport convertible 2008. Full heated electric nappa leathers seats. Mv3 18"alloys. Full v5 & all booklets. Car is in immaculate condition and faultless throughout. Built in Parrot hands free. Bmw 325ti Compact with M Sport factory upgrades including suspension and fully electric Black Leather Interior. MV4 alloy wheels with good tyres all round. The car is in a good used condition. BMW 325 ti COMPACT. 12 month mot. Full heated electric nappa leathers. Mv3 18"alloys. Car is in immaculate condition and faultless throughout. Xenon number plate lights. Xenon interior lights. Xenon night door lights. Xenon Angel eye headlights. Has a couple of age related scars, but a sound driver. 2005/55 plate Silver BMW 320 3 Door. Petrol. Paintwork is good all round condition. 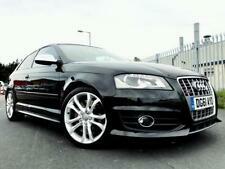 Full black leather interior which is immaculate condition. 18 inch MV2 alloy wheels with good tyres all round. Approx 110,000 miles. MOT has just expired. Timing chain has skipped. Selling as it is as i have new car so its no longer needed and is taking up space. Would be ideal for parts or to break and sell parts however I don't have time. Reasonable offers and it will sell. Text 07896929079 with any questions. Currently on private reg - J300NYR however will be going back to EF55FYO. HPI Clear, never been in an accident Thanks. QUALITY AT A COMPETITIVE PRICE , AVE. 3,000 MILES A YR.
(2002 BMW 330CI M SPORT Coupe in Sapphire Black. 5 Gear Manual gearbox. 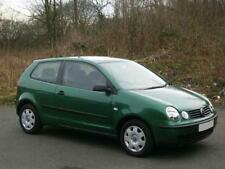 It has genuine 142000 miles, Full service history up to date, 2 fully working keys, HPI Clear, MOT till 2020 March. 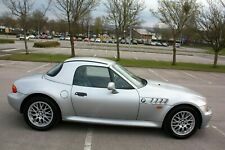 Car is stunning example, real head turner and you get recognition amongst other BMW enthusiasts:). Up for sale is my2005 E46 BMW 318Ci 2.0L M Sport which is no longer needed. It starts and runs fine, and all electronics including windows and mirrors work as they should. - Chip in windscreen. Passed MOT but might need work before next MOT (02/2020). For Sale. BMW E36, 318i M-sport. Techno Violet - one of the more desirable/rarer colours. Also air bag light on due to having no slip ring wiring in the steering wheel due to previous owner having after market wheel on and not refitting. BMW 1 SERIES 116i ES 3DR. 2008 08 REG. 325ti -- Individual model--. Polished and ceramic coated. Interior is virtually unmarked, exterior has only slight marks here and there which don't show up in the photos. 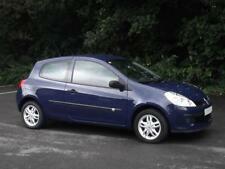 A good quality, economical car for not much money.Has to be one of the cleanest around. 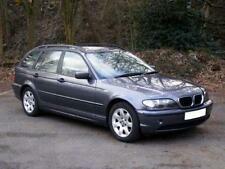 BMW 325TI 5 SPEED VERY GOOD OVERALL CONDITION PASSENGER SIDE DOOR BOTTOM STARTING TO BUBBLE . 2 SMALL DENTS IN THE BONNET OTHERWISE CLEAN. REVERSING SENSORS DONT WORK . Phil Foster 4x4 - Call us on 441568600699 or click here to find out more. I myself acquired the vehicle after our trusty VW golf gave up the ghost and as much as a rarity as the BMW is I 'm a vee dubber at heart and yearn for another Golf. Hence the BMW is up for grabs and I'm asking £3295, which I think is fair considering the spec, condition and mileage. 2000 BMW 325ti Compact, 2.5 litre, six cylinder automatic. MOT until 10th February 2020 with no advisories. The BMW 3 Series Compact is a 3-door hatchback version of the BMW 3 Series, which was produced from 1993 through 2004. Black bmw three series for sale 325i. 64000 MILES. 2014 REG BMW 1 SERIES. ALL GRILLS HAVE BEEN PUT ON THE BUMPER THESE PHOTOS WERE TAKEN WHEN IT ARRIVED. Always well looked after, new tyres, battery and exhaust box just been fitted. CASH ON COLLECTION ONLY. BMW 116i 2.0 Sport 2009. Excellent condition inside and out. Drives lovely with no issues. 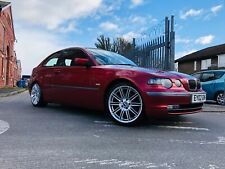 BMW 330CI M SPORT MANUAL FOR SALE LOW MILEAGE 111k. Brembo High Carbon Disks Alll around £260. HEL line Braided Brake Hoses & Clutch Line £100. Parts brought for the car which can be negotiated on top of the Price for the car are as follows.